My year was bookended with long periods of no/few finishes. The middle was a majority of mini and baby quilts. I taught 20 kindergarteners how to hand piece four-patch quilt blocks and put together their blocks into two class quilts. I also participated in three swaps and two bees. As a quick review of 2016, I'm sharing my five most visited 2016 blog posts here. Visit my Best of 2015. 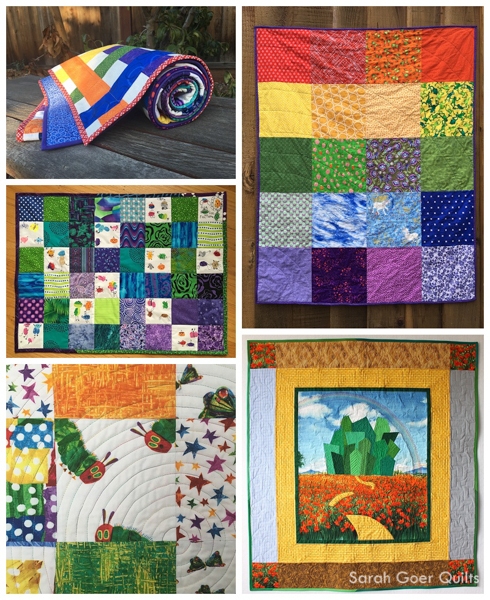 Posted in Quilting on January 2, 2017 by sarah. I'm a teacher at heart. I peer tutored in math officially in high school and before that unofficially. You can take the teacher out of the school, but you can't take the educating out of the teacher? Something like that. ;-) Thanks for visiting, Yvonne. Having enjoyment is key to accomplishments. What you did do was terrific. Life happens with projects. I enjoy your blog and those quilts you have made. You are very talented and creative. Thanks for sharing.